RIO GRANDE CITY — A former prosecutor is the first to throw her hat in the ring in the upcoming race for 229th district court judge. Martie Garcia-Vela, who was an assistant district attorney with the 229th district attorney’s office for nearly eight years, announced her candidacy on Friday. 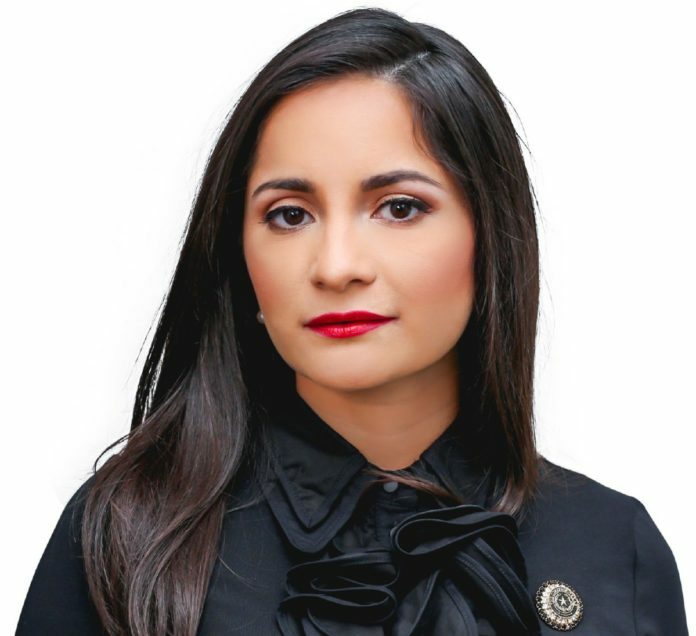 Her announcement came less than a week after the seat was vacated by Ana Lisa Garza, who resigned from the bench in order to run for state representative for District 31. As judge, she said she hoped to continue the youth court program that was started during her time with the DA’s office. The program allowed kids to learn about the judiciary by role-playing different roles in the court. She said she’d also like to expand the veteran’s court and the mental health court. Garcia-Vela graduated from Rio Grande City High School in 1999, then earned her bachelor’s degree from the University of Texas-Arlington. She graduated from Texas Southern University Thurgood Marshall School of Law in 2008. Now, Garcia-Vela is married with two daughters and said a judge’s set schedule was a big factor in deciding to run for office. If elected, she would be serving in a court that holds personal significance for her. The 229th district court was where she was sworn in as an attorney and, she recently learned, she is related to previous judge Ricardo Garcia. Garcia was 299th district judge from 1976 to 1999. Garza, the most recent occupant of the bench, appeared with Garcia-Vela during a meet-and-greet event in Roma over the weekend. The former prosecutor said that, as judge, she would continue to work for the residents as far as the law would allow.